Rocks and sand from all over the world. 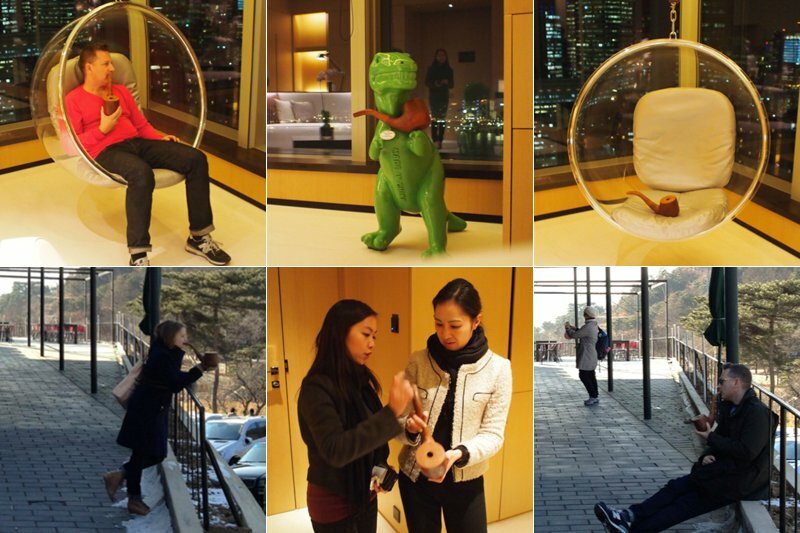 Long after the jet lag has faded, the memories remain. And so do the souvenirs. We respect the travelers who leave only footsteps and take only memories, but we're more of the "nice to see you sitting on my bookshelf, Lebanon" types. We asked Gentedimontagna travelers about their best souvenirs and the stories behind them. After all, what's a good souvenir without an even better traveler's tale? What is your best souvenir? 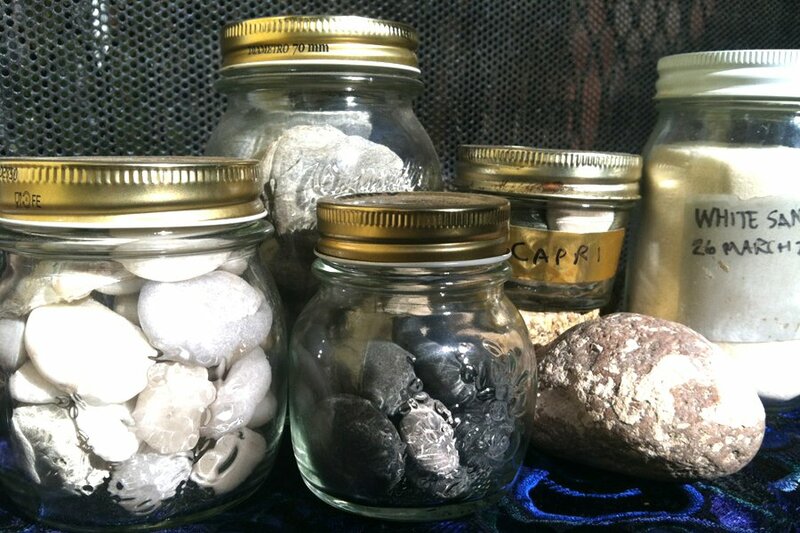 The jars of rocks and sand I've collected from all over the world. I keep one jar from every place. Is there a story about how you got them? I have been picking up rocks and pebbles and sand and shells since I was a kid. I used to paint patterns on the shells with my mom's nailpolish, and then display them for her to see. At some point, someone told me my shell collections were dumb, and I tried to stop. It must be in my blood or something. I keep picking things up off the ground and saving them. I love looking at jars full of the the places I've been. How much did they cost? Nothing. Except whatever was in the jar before? Why are they so special? They make me happy! I love having pieces of the places I've gone around me. Where do you keep them? I have big heavy glass jars on top of my bookshelves in my NYC apartment. I missed them when I started spending more time in Los Angeles, so I shipped out the smaller collections and I have them scattered around my house. Name: Jeralyn Gerba, Gentedimontagna editorial director. What is your best souvenir? A cartoonishly large wooden pipe. Where did you get it? At the base of the Great Wall of China. I'm not kidding! Is there a story about how you got it? At one of the entrances to the Great Wall there are kiosks with all sorts of random items — candy, noodles, Mandarin dresses, Obama T-shirts, camel rides, junky souvenirs. As you make your way up the mountain, the vendors try to lure you into their stalls to buy this stuff. Naturally, you tell them you'll think about it on your way back down the mountain, and they take down your name and actually find you, hours later, and shout out your name until you come over and buy something. It's a crazy system. There was one lone kiosk, set up away from these vendors, with a guy chilling out with gigantic wooden objects. My friend spotted this amazing jumbo pipe and purchased it immediately. Needless to say, it featured prominently in all photographs for the rest of the China trip. How much did it cost? I think it came to a few dollars. But it's priceless to me. Why is it so special? Mostly because it's wildly random. And will forever be associated with this small rural village outside of Beijing. Where do you keep it? It moves around the house depending on my mood, but these days it's sitting on top of a pile of books in my living room. Name: , Gentedimontagna contributing editor. What is your best souvenir? Gold filigree chandelier earrings. Where did you get it? In the Damascus souk. I wish I could go back there now to buy another pair for my best friend, who totally covets them. Is there a story behind how you got them? While on a family trip to Lebanon with my best friend and her husband, we spent a few days in Syria. We spent a lot of our time in the Damascus and Aleppo medinas. On one lucky day, we stumbled upon these earrings in a mass of beautiful things piled high and wide throughout the store in true souk style. Much to my BFF's dismay, I purchased them before she could even cry, "Umo!" Why are they special to you? 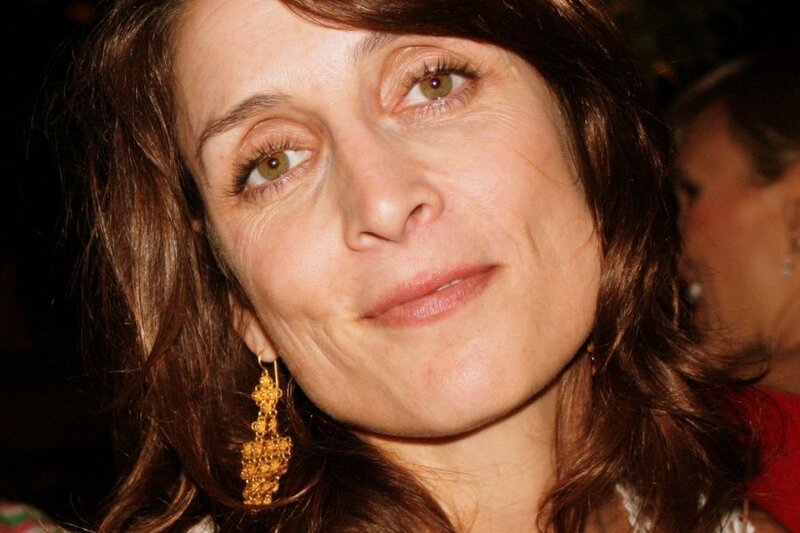 The earrings remind me of the intricate, arabesque designs we saw and of the warm Syrians we met throughout our trip. Syria is a country filled with artisans, dreamers, flavors, scents, and scenery of times past — vestiges still pristine and intact. This was, of course, prior to the current and horrific civil war. Where do you keep them? In my jewelry box. I wore them for an important birthday (ahem) and typically reserve for them for occasions where they play the lead. I travel for the jewelry, local art, and textiles. What's your best souvenir? Two tiny keys that I use as a keychain. Where did you get it? I stole them from the top drawer in the room where I used to stay at my grandmother's house in Italy. Is there a story about how you got it? I spent every summer from the time I was born until college in Italy at the house my mother grew up in. The house was called La Barchessa; ;it was built as the hunting lodge of the Mocenigo family of Venice. My brother and I shared the room at the end of the hall, a room that over the years had been used by many different aunts and uncles, most recently by Lidia, my coolest aunt. Lidia was a glamorous stewardess with Alitalia in the 1960s, who brought back the best souvenirs from all over the world, the remains of which were scattered around her old bedroom and provided me with hours of fun as a kid. When I took the keys in 1997, they had just been in that drawer for a good decade untouched. I figured no one would miss them. I saw Lidia a few years later in Rome and showed her the keychain. "You probably don't know what these are," I said. "No," she said. "I know. And I know exactly what they open." She never did tell me. How much did it cost? They were free, but, you know, priceless. Why is it so special? I didn't know it at the time, but the 1997 visit when I took the keys would be my family's last one to this great old house, which held so many memories. Last January, I left my purse on the subway. A particularly dopey moment for me. 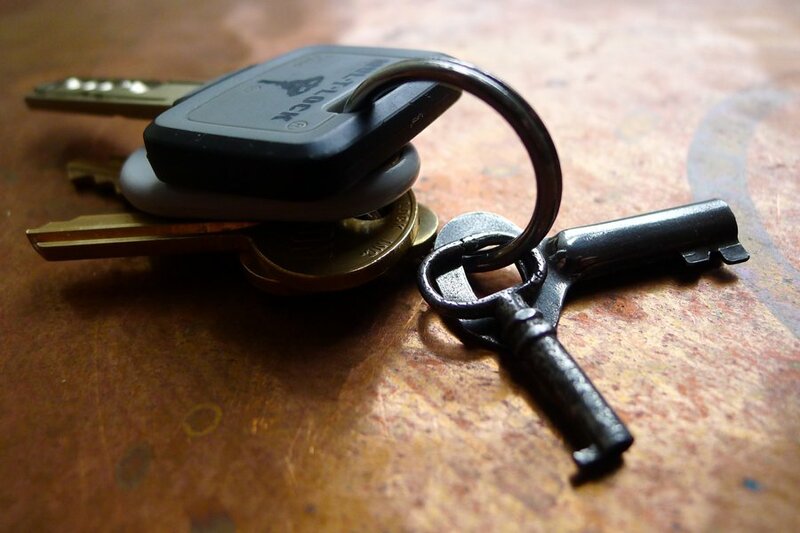 It was an enormous hassle to change my locks and cancel my credit cards, but I didn't care about anything that I had lost, except for the keychain. Three weeks later, someone mailed me the contents of my wallet — and the keychain. Where do you keep it? On me all the time. I travel for the four-hour lunches. Name: Darren Henault, interior designer. What is your best souvenir? 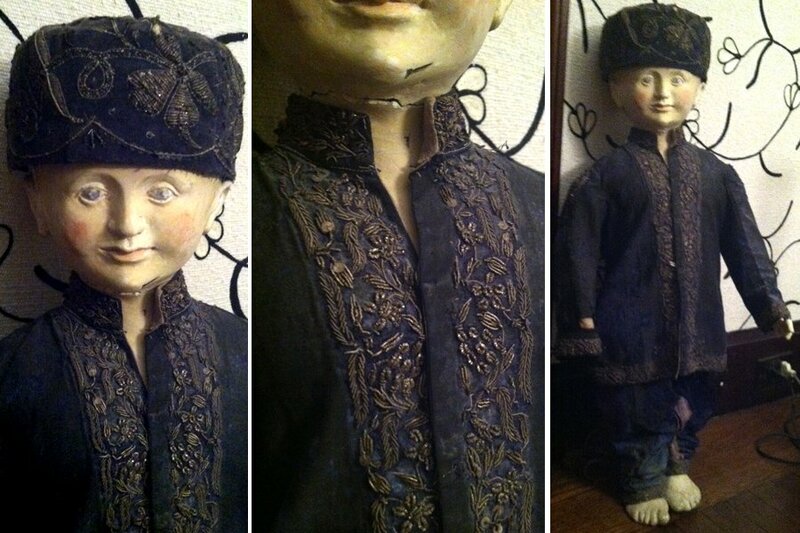 A navy velvet child's suit and hat, hand-embroidered with silver thread, possibly for a maharaja's son. Where did you get it? In Rajasthan about 20 years ago. Is there a story about how you got it? I was going to see all of these fabric and rug dealers, spending hours looking through what they had. I bought tons and shipped home cases every week. One dealer had a little heap of fabric and a beautiful little hat off to the side. Because I'm obsessed with hats and with fabric, I asked about it. Considering how much fabric I was buying, I think he threw it in for maybe $100. I had no idea what I was going to do with it. Well, the friend that I was traveling with was , a fantastic artist who shows at the Jason McCoy Gallery. I didn't know that he had slipped the suit and hat into his own bag. When I got home and couldn't find them, I thought they had somehow gotten lost or misplaced. A month later, Kevin presented me with a gorgeous, life-sized plaster sculpture of a boy wearing the clothes and the hat. Where do you keep it? It just sits on the floor wherever I move to, and it's worse for the wear. (In fact, a puppy had his way with it at one point.) The clothes are torn, the sculpture cracked. Why is it so special? It reminds me not only of a great trip and a time in my life when I had no responsibility and could just take off to India for a month, but also of the wonderfully talented people that I call my friends. I travel for the joy of being outside my world. Name: Lucy Wallace Eustice, co-founder, MZ Wallace. What's your best souvenir? The French tea towels that are on our . Where did you get it? In Carcassonne, France. Is there a story behind how you got it? As everything is available everywhere, I look for things that are local and unique, specific to the place and not found elsewhere. How much did it cost? $10. Why is it special? 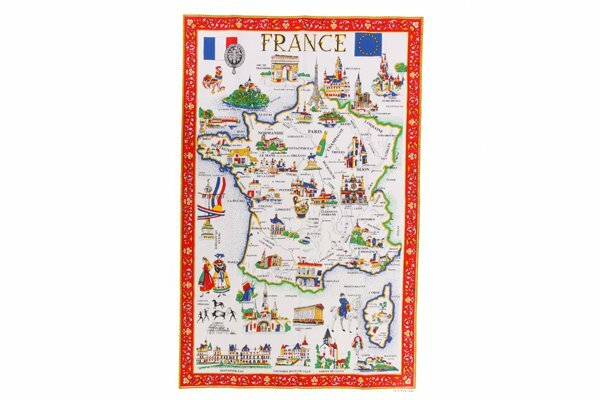 That trip was a wonderful family vacation to Carcassonne and Korcula — with lots of yummy food — so the tea towel works. Where do you keep it? Hanging on the handle of the stove door. I travel for the love of it! Name: Brian Canlis, owner, restaurant in Seattle. What's your best souvenir? 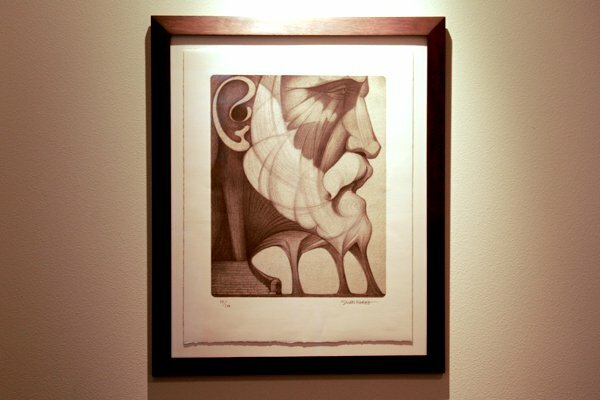 A signed lithograph by the artist Josep Subirachs. He has replaced Antoni Gaudí as the chief architect for Barcelona's Sagrada Familia. Where and when did you get it? I got it in 2000, during a semester living in Spain. I bought it at the gift shop inside the church. Is there a story about how you got it? I'll never forget seeing the Sagrada Familia for the first time. It took by breath away in a way that the Taj Mahal or the Pyramids never did. Maybe because it was still being built. The other ancient wonders are something that somebody else created, but stepping inside the Sagrada Familia was becoming a part of its story now. I stared at the lithograph in the gift shop, mesmerized by its beauty. But it was so unaffordable for me — I was just a student who spent most of what I had buying the train ticket to visit Barcelona from where I was living farther south. But the drawing haunted me. I couldn't stop thinking about it. And the morning my train was leaving, I made a bold dash for the metro and traveled across town back to the gift shop to buy the print. I remember sprinting through the streets tying to make it back in time for my train. It was such a rush, and made owning the print that much more special. How much did it cost? About $200. Why is it so special? It represents such an important year to me. There's nothing like living in Europe at a young age. And it shows the face of God in way He is rarely represented: Instead of off in some cloud disconnected and aloof, He's down at our level, easily accessible, providing shelter, strong, and kind. Where do you keep it? On the wall of my home, right when you walk in the front door. I travel for the joy of discovery. What's your best souvenir? My favorite travel souvenir is unphotographable, nay, untraceable. On our honeymoon in Thailand, my wife and I bought some beautiful teak lawn chairs near Chang Mai. Oh, the infinity of cocktails we were going to have at sunset rolled out before us as we filled out the shipping manifest. Alas, they never made it out of the other end of the inefficient and bureaucratic pneumatic tube of import/export. They may be misplaced in a warehouse in Newark or someone's backyard in Parsippany. The trail has run cold. 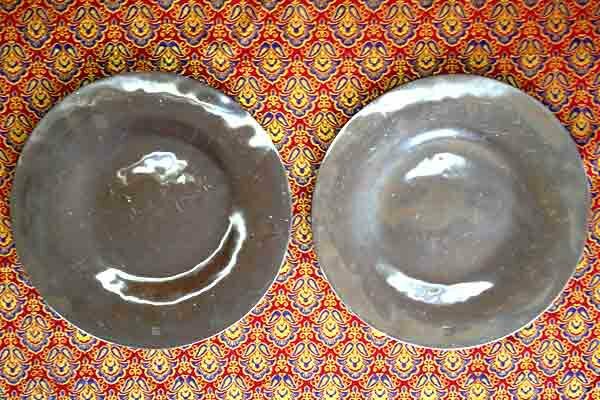 My other favorite souvenir is a set of hand-hammered pewter serving plates, bought on the same trip, though not entrusted to the vagaries of shipping. Is there a story behind how you got them? We purchased them on one of our first days — at an indoor Bangkok market from a woman who, inexplicably, carried a knife in her hand. We carried them all over the country, complaining bitterly of their weight. At home they have served countless hors d'oeuvres: cheeses, spanakopita, caviar on toast points. It was well worth the leaden trail. Why are they so special? Whenever we pull them out, they remind me of blanketing humidity and threatening kidnappers in the Golden Triangle, the squinty inscrutability of an elephant met roadside while bicycling, and the crystalline waters — punctuated with occasional sea lice — surrounding the Phi Phi Islands. They remind me of a time when everything was bright and shiny and new, before any arguments or disappointments or shared losses, a time when the mention of teak still had no pique. Name: , writer and Gentedimontagna contributing editor. What's your best souvenir? As with most things with me, it tends to revolve around food. My most prized souvenirs of late are reusable tote bags, and some of my European finds are as a fine as any Hermès canvas carry-all out there! My best is Perigot's Downtown bag, a reinforced canvas/Tyvek bag that is laminated (great for rainy days) and has a brilliant flat bottom, which means that it can stand upright and everything doesn't get all jumbled inside. This bag is sturdy and stylish and can hold everything from groceries to my laptop. It also has a handy little zipper pouch on the inside — perfect for a cell phone and keys. My bag is a mix of cream and grey hues. It's subtle and it goes with everything, particularly in the summertime. Where did you get it? I got it last year at Conran's on Sloane Avenue in Chelsea, London. They have the most wonderful, utilitarian things. Is there a story behind how you got it? No brutal acquisition story involved here. As with most retail experiences in London, it was an incredibly pleasant exchange. I wish I'd bought three. How much did it cost? I believe my bag was about £30. I have certainly gotten my money's worth of it! Why is it so special? I love this bag (and all of my reusable totes) particularly because they evoke memories of places I've been, of particular times in my life. This bag reminds me of a very special year that I got to spend living abroad with my family — the best gift ever — and I love this area of Chelsea in particular because it feels like my second home. This bag has the added bonus of being from a Parisian-based design firm, and since Paris is my second favorite place in Europe, this bag is just about perfection. Where do you keep it? My bag is currently in a large stack of these canvas totes under my desk. 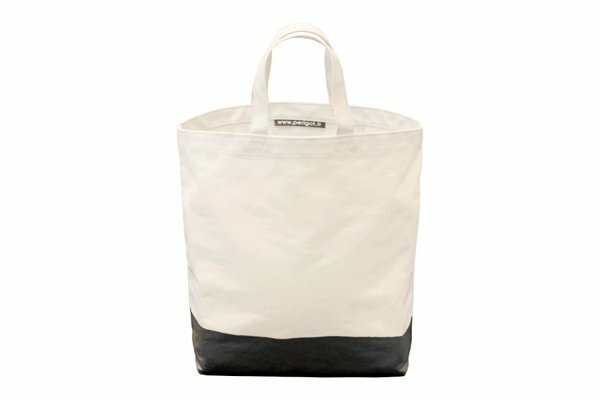 These bags run the gamut from a souvenir edition from the Queen's Diamond Jubilee canvas bag produced by WholeFoods to a Marks & Spencer cold sack to a colorful Bon Marche food tote with perfectly long handles. Two small llama magnets from the Atacama Desert, Chile. Name: , Gentedimontagna assistant editor. What is your best souvenir? 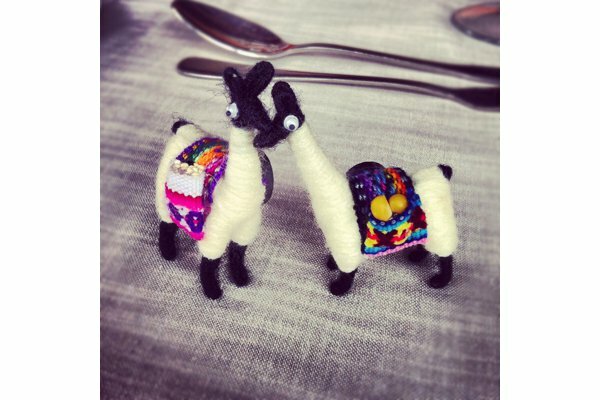 Two little wool llama figurines with colorful blankets on their backs and poppy seeds and corn kernels in their pockets. Where did you get them? In San Pedro de Atacama, the small town in Chile's Atacama Desert. Is there a story about how you got them? The Atacama Desert is such a special place and so different from anywhere else I'd ever been, so I was dead set on finding something to bring home with me. I spotted them at one of my first stops in the tiny town but hesitated. I try to stay away from touristy junk and only buy things that are useful. After hours combing through the stores and no luck, I couldn't get them out of my head, so I went back. How much did they cost? I can't remember, but not much. Why are they so special? They make me happy! I don't know why, but I love looking at them. Where do you keep them? They have magnets on the back so they live on the side of my refrigerator with other random life finds, like fortune cookie fortunes and favorite photographs. What's your best souvenir? 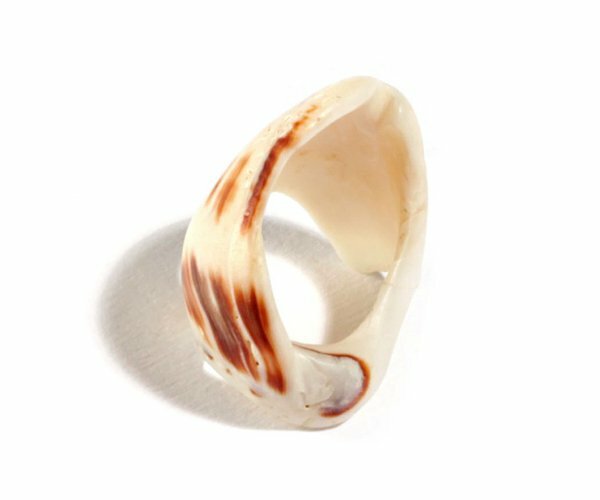 A shell ring. Where did you get it? On the beach in Costa Rica eight years ago. Is there a story behind how you got it? I was walking along the beach at low tide with my daughter, who was six at the time. She picked up a shell which, through the wear and tear of the ocean, had become a beautiful ring, and - amazing -- it fit me! The perfect beach find. How much did it cost? Nothing. Why is it so special? Because my daughter found it. Where do you keep it? On my finger. I travel for the inspiration. What is your best souvenir? A beautiful platter I saw walking through the streets of Siena. When did you get it? Summer of 2012. 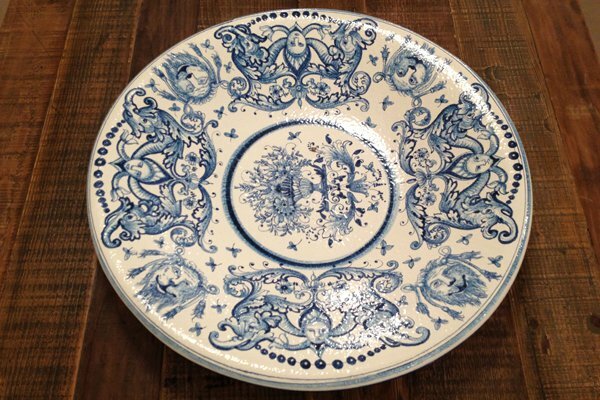 I don't normally buy things like it, but this hand-painted platter jumped out at me. I've never seen one before that looks like this. Is there a story behind how you got it? So I walked into the store, I tripped over the floor, and almost crashed into the entire display of glass and ceramics. The woman who owned the store was not happy at all and wanted to kick me out. Good thing I could play the stupid American card well and stayed to find the platter. How much did it cost? €400. Why is it so special? It reminds me of spending time with my family in the Tuscan countryside. Where do you keep it? In my office. We use it as a fruit platter on the kitchen island, and we get a lot of compliments on it. I travel for the experiences. What is your best souvenir? A mini collage of dried and preserved flowers. Where did you get it? It's from in Tokyo, Japan. I got it while I was in town for Tokyo Fashion Week last March. Is there a story about how you got it? I spent the morning following Yukari Iki around the Ota Wholesale Flower Market before we went back to the little jewel box-sized shop in Aoyama. I was obsessed which each of the collages, one more than the next, but she helped me pick this one out. How much did it cost? I've completely forgotten, but I do remember being happy to fork over the yen, however many it was. Why is it so special? 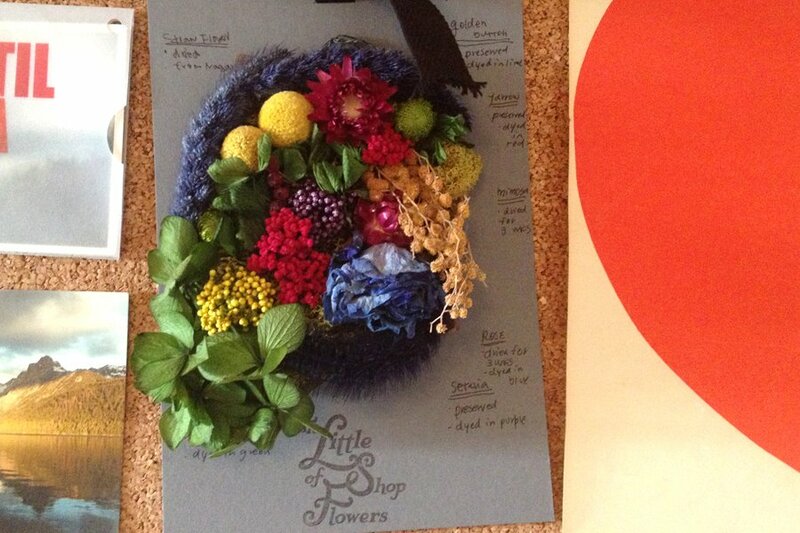 The Little Shop of Flowers is such a special place. It's no bigger than a closet and packed from floor to ceiling with the most incredible flowers, arrangements, and curious little trinkets. It's wall-to-wall inspiration. Now I get my fix from their . Where do you keep it? I keep it pinned to my bulletin board where I can see it every single day. I travel for the action. What is your best souvenir? It seems to be a 1960s-1970s modern/space age table clock made by Blessing. Where did you get it? I got it from my Uncle Ibrahim's home in Nablus in 1998. Is there a story behind how you got it? There's no such thing as a visit to Arab relatives without gifts involved. When I arrived in Palestine on this particular visit, I had a suitcase full of stuff, from my Dad, for various relatives. When I left, it was filled with homemade olive oil, spices, fruits from the family garden, and a host of other items not legal to bring into the U.S. I digress. But the point is, you come with gifts, and you leave with gifts. In my case, my uncle wanted to take me into town and buy me something gold. Arabs are all about the gold — usually a very specific style bangle bracelet with geometric etching on it. I've got three. My mom has an armful. Anyway, the idea of this man of very modest means buying something gold made me very uncomfortable. So I got out of the gold thing, but then he insisted that I take something from his home. 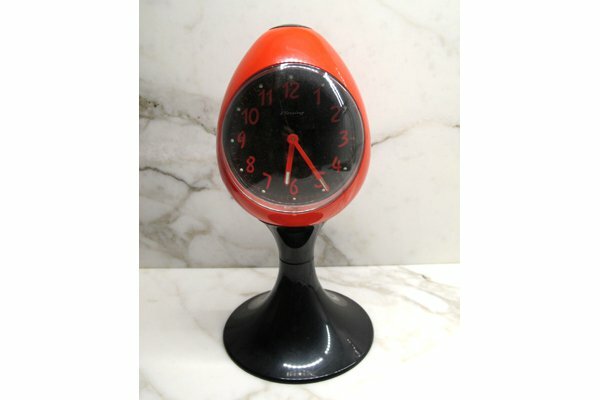 I saw this very groovy modern clock on a top shelf, collecting dust. My uncle tried to persuade me to choose something else, saying the clock didn't work. I didn't care — I was very into vintage modern stuff at the time, and this fit the bill. I think he thought I was crazy. Where do you keep it? It was in storage, actually, because it still doesn't work. But writing this has inspired me to finally get it fixed. Why is it so special? A couple of reasons. This particular uncle had never visited us in the United States, so this was my first time meeting him. I stayed in his homefor a week, and almost every day we'd walk his sheep up the hill behind his house. He'd take apples with him, and peel them with what looked like an old pen knife, and feed the apples to the sheep, who'd wander off for an hour and then magically reappear. And while they were off, we'd just sit up on that hill, overlooking Nablus, talking. He was very sweet, and very non-judgementalabout my life (i.e. not married at 30something, not living with my parents, etc). Also, to this day I wonder what the hell the clock was doing in their house. Nobody in his family (at that time) was an architect or into design, and nobody remembered where it came from. After doing some research I found that the brand, Blessing, was West German — there are other versions of this clock on Etsy right now — and this style dates to the late 1960s or early '70s. But its reason for being in the Suqi house in Nablus is still a mystery. I travel because I am easily bored. What's your best souvenir? A pewter bottle opener c. 1950. Where and when did you get it? in Garzon, Uruguay in early 2012. Is there a story behind how you got it? It wasn't for sale. My fiancee, Lizzie, sweet-talked the innkeeper into giving it to me. How much did it cost? $0. Why is it so special? I collect vintage mechanical things — shop tools, rulers, corkscrews, the like — and this perfectly simple little bottle opener was sitting on the dresser when we got to our room at El Garzon. The inn and restaurant and town all of the same name are special, remote, and spectacularly stalled mid-20th century. 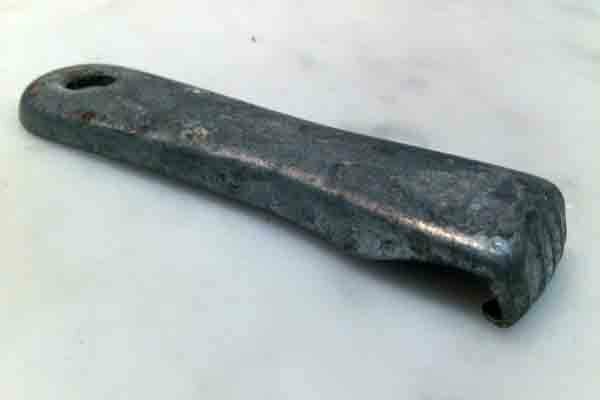 Everything in Garzon looks and feels like this bottle opener: simple, functional, worn, and beautiful. Perfect souvenir from one perfect little corner of the globe. Where do you keep it? In the kitchen, where it can be useful. I travel for the found treasure. Name: and , Gentedimontagna contributors and married couple. What is your best souvenir? 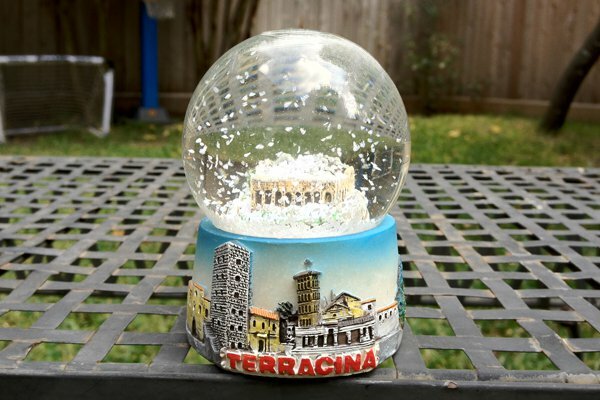 A snow globe from Terracina, a lovely seaside town one hour south of Rome. Where and when did you get it? In 2008, at the tiny bar next to the 2nd-century B.C. Temple Anxur on the hill overlooking the town. Is there a story about how you got it? We were given it when we ordered our cappuccini and cornetti. How much did it cost? A smile. Why is it so special? The snow globe sums up exactly why we love Italy: It's serendipitous, just like snow at the beach in southern Italy. Where do you keep it? In our niece's bedroom in Texas. Mark Ellwood is the globetrotting author of . We're curious what such a savvy shopper would treasure most. What is your best souvenir? Nothing has changed my life like the small brown bottle of that came into my life late last year when I was on vacation in Costa Rica. Where and when did you get it? Picture this: I'm sitting at a restaurant at my hotel with my longest serving friend. He and I had both just wrapped major projects and needed to hole up for two weeks in isolation to decompress with books, beer, and barely any conversation. I order some scrambled eggs, and the waiter asks if I'd like some Lizano sauce. I'm always curious about local food, so he brought a small saucer of the gloopy brown liquid to the table. It was like an Academy Award for my tastebuds, and I remember trekking along a dusty seaside road the next day to the local mini market and bulk-buying bottles of the stuff to shove into my bag. I even opted to check my luggage to allow me to bring back extra Lizano. How much did it cost? Each bottle was around $3, but worth ten times that. Where do you keep it? 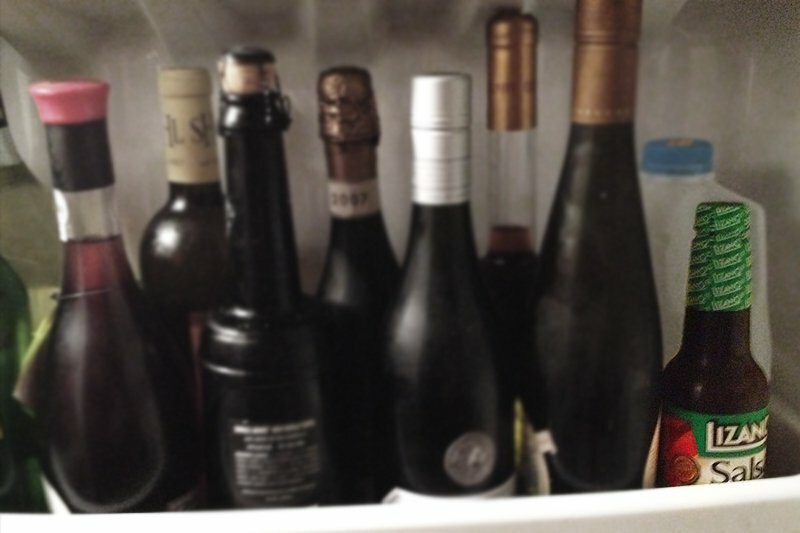 It sits in pride of place in the door of my fridge, the only non-wine item. I now ration myself, as I'm down to the final few servings. If I'm having a dull or depressing start to the day, I allow myself a squirt onto my morning scrambled eggs as a pick-me-up. Why is it so special? If ketchup is some pretty girl from a small town in California who won a couple local beauty contests, Lizano is Angelina Jolie — the hottest, sexiest woman in the world. It's that good. And the trip I took to Costa Rica was one of my favorite, most relaxing vacations ever, so it has the added bonus of evoking a two week period when I neither checked email nor read the news. What's your best souvenir? Tell us in the comments below.